Earlier this month, a group of corgis in outfits fit for a queen strutted down a mini red carpet in New York’s Herald Square. I don’t tell you this because it’s an adorable visual (which it absolutely is), but because it’s just one of many royal wedding-themed campaigns making headlines since news of the impending nuptials of Prince Harry and American actress, Meghan Markle, broke. If I learned anything on my brief trip to London, a few weeks after the wedding of Prince William and Kate in 2011, it’s that nothing is off-limits when it comes to royal wedding memorabilia, merchandise, or marketing. According to MarketWatch and consulting firm, Brand Finance, Harry and Meghan’s big day will likely boost the U.K. economy by $1.43 billion with increased tourism, PR, retail/restaurants, fashion, and merchandise. But it isn’t just our friends across the pond hoping to use the royal wedding to build awareness and increase sales. Several brands, big and small, are “newsjacking” the historic event with unique marketing campaigns and limited edition products. In fact, Meghan Markle’s own nephew is even growing a limited edition strand of marijuana (only available in Oregon, where it is legalized) called “Markle’s Sparkle.” Crazy, I know. Well, while not all as risque as this venture, here are six other outrageous royal wedding-themed marketing campaigns you’ve got to see! Fried chicken may not be exactly what you think of when you hear “royal romance,” but that certainly hasn’t stopped KFC. The story goes that Prince Harry actually proposed to Meghan over a roast chicken dinner last fall. 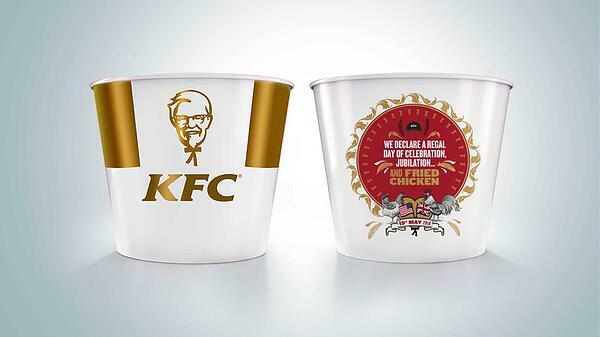 Building off of this connection, KFC created a commemorative bucket of chicken, "featuring resplendent gold flourishes… embellished with a classic regal crest, [and] proudly adorned with both British and American flags" to be used on the big day. While not necessarily a big revenue driver, this quirky campaign cleverly aligned the brand with current events and got people (like yours truly) talking. Also, with only 50 buckets available exclusively at KFC's Windsor branch, according to Mashable, this is one keepsake I’m sure the lucky few will be sharing on social media. With millions across the globe expected to tune into live coverage of the royal nuptials, HBO is making its own play for the ratings with “The Royal Wedding Live with Cord & Tish” airing live on HBO, Saturday, May 19th at 7:30 AM ET. In partnership with Funny or Die, the channel has enlisted former SNL stars, Will Ferrell and Molly Shannon to host its own live coverage of the royal wedding as fictional TV commentators, Cord Hosenbeck and Tish Cattigan. Even though the duo’s first live event, Amazon’s coverage of the Rose Parade, earned negative reviews from confused viewers earlier this year, I have to give HBO kudos for offering a fun alternative to the traditional coverage most networks will be broadcasting. It’s different. It’s got star power. Fingers crossed that it gets viewers! Using #ChilisRoyalWedding, American restaurant chain, Chili’s hopped on the royal wedding hype by launching a faux collection of fascinators and cufflinks. Though not actually for sale, the accessories playfully poke fun at British fashion while also paying homage to and keeping the Chili's menu top-of-mind with designs inspired by its sizzling fajitas, big-mouth burgers, Texas-sized ribs, and presidente margaritas. Forget cake! Harry and Meghan’s wedding is all about doughnuts -- at least it is at Dunkin’. The American chain has created a limited edition “heart-shaped, jelly-filled doughnut, frosted with chocolate icing and strawberry drizzle,” that will be available through Sunday to celebrate the royal wedding. 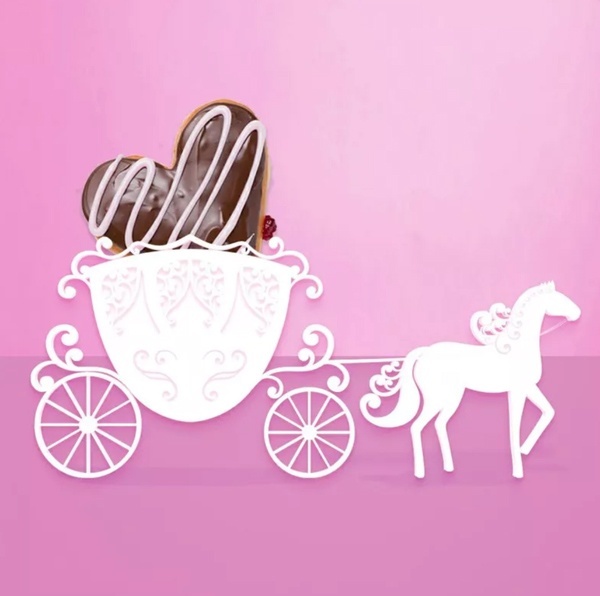 In addition to that, on May 14th, Dunkin Donuts gave select customers “the royal treatment” with a chance to ride through New York City’s Central Park in a horse-drawn carriage decorated in the brand’s colors. They even had Carole Radziwill, real-life princess and Housewife of New York, take the first ride. “‘As the U.S. donut leader, we love helping our guests make special occasions both big and small even sweeter with fun donut designs and flavors. The Royal Wedding represents optimism, happiness and joy, and thus is a perfect opportunity for our brand to celebrate. We hope all donut lovers, royalty or not, will enjoy the new Royal Love Donut next week.’"
Unlike the other campaigns mentioned, this, friends, is an example of how NOT to newsjack. 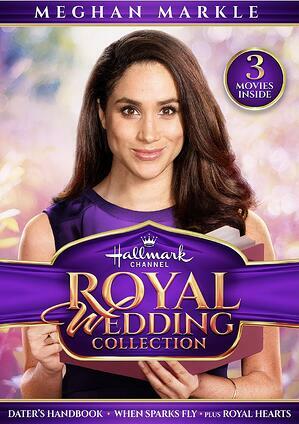 The DVD, available exclusively on Amazon, includes two films Markle starred in for the channel (simply romantic comedies, no royal storylines) and a non-Meghan starrer titled Royal Hearts. Not only does this bundle feel like blatant abuse of Meghan’s personal life, but reviews on Amazon show several viewers’ are equally dissatisfied with the misleading marketing. Think twice before you newsjack next! Now, full disclosure, this last campaign is probably my favorite on the list. Bags of Love is an online printing service that lets customers customize a variety of physical gifts with the photos of their choice. 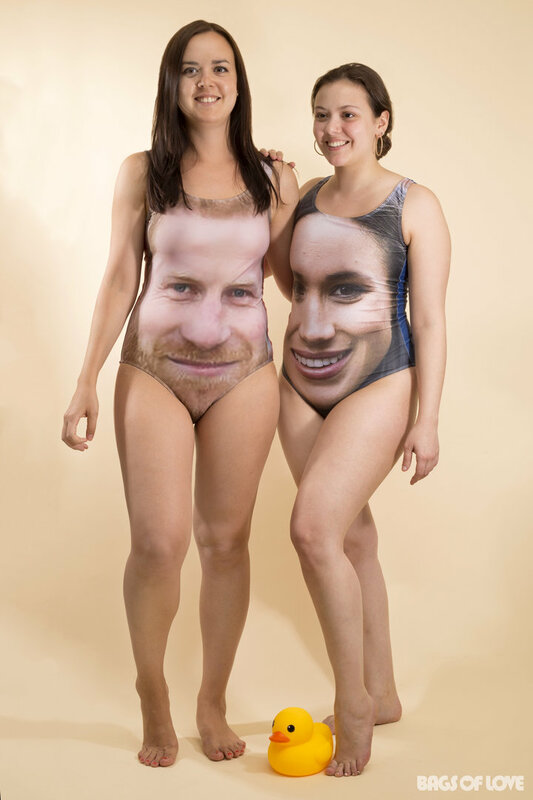 As the royal wedding frenzy rose, the brand’s public relations manager, Ekaterina Vankova told HuffPost that a large number of customers began printing the faces of the couple on their DIY projects. Noticing the trend, the Bags of Love team decided to start using Harry and Meghan as the example product photos for bathing suits on the site and they took off! The suits are now on sale for $38 and rumor has it, Prince William, Duchess Kate, and Queen Elizabeth editions may be on the way. So what do you think? Which of these campaigns was your favorite? Did Hallmark Channel go too far? Let me know your thoughts in the comments below!